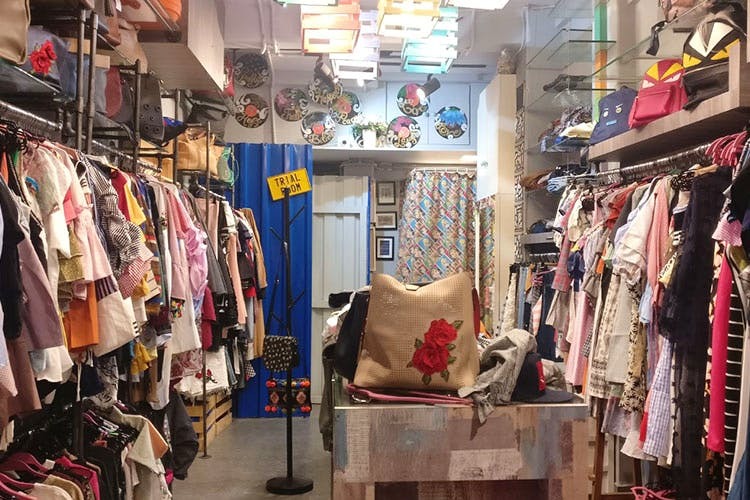 Sale Alert: This Quirky Store In Bandra Is Offering Everything At Flat 60% Off! Ladies, if Rebecca Bloomwood is your spirit animal, this news will sweep you off your feet. Cat-a-log located near Toto’s in Pali Naka is showering a flat 60 % off on their clothing, sunglasses, accessories & bags. When fashion runs in your veins and retail therapy relaxes your soul, there’s no better place than this to stock up for coming seasons. This quirky looking boutique in Bandra looks like it’s right out of Pinterest. The collection at this place is carefully picked & shipped directly from China & Bangkok. And all of these amazing things are available at flat 60% off. So bid goodbye to those end of the season sales and outdated collections when you can find something fresh and new at this boutique at a steal. We personally love their easy-breezy dresses that are perfect for both brunch & parties. You can find cute accessories to pair up with your outfits. The bags here come in different shapes, sizes & beautiful patterns making you want them all. The vibe of the store is pretty chilled and will double up your shopping experience. Also, the people at the store are super friendly so don’t hesitate to strike a conversation. To stay updated with new collection & sales, follow them on Instagram.